Since high school, I’ve always used messenger bags. 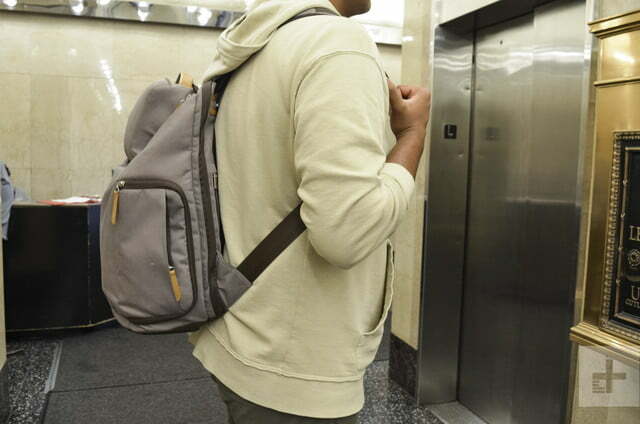 It’s easier to grab stuff on the move, and over-the-shoulder bags often look more professional than traditional backpacks. 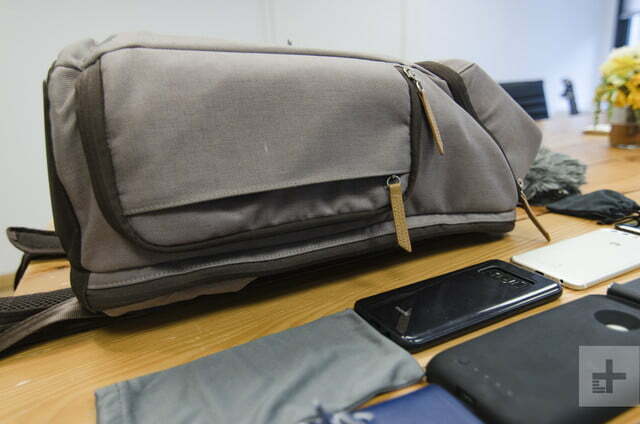 But after carrying Ona’s Union Street messenger bag every day for more than a year, it was already showing signs of wear. It was also hurting my shoulders while weighing me down. 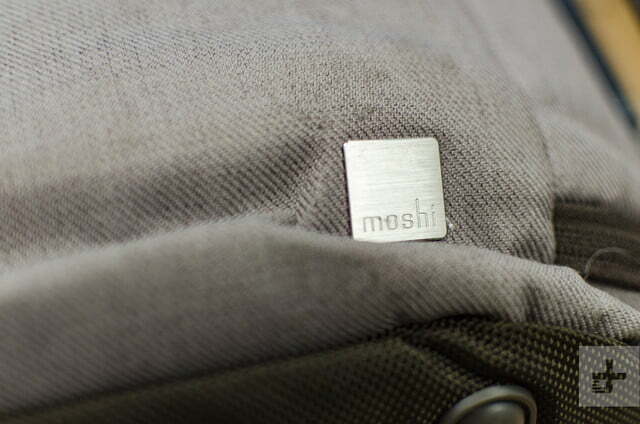 I swapped to the Moshi’s Arcus backpack for a change of pace and I haven’t looked back. 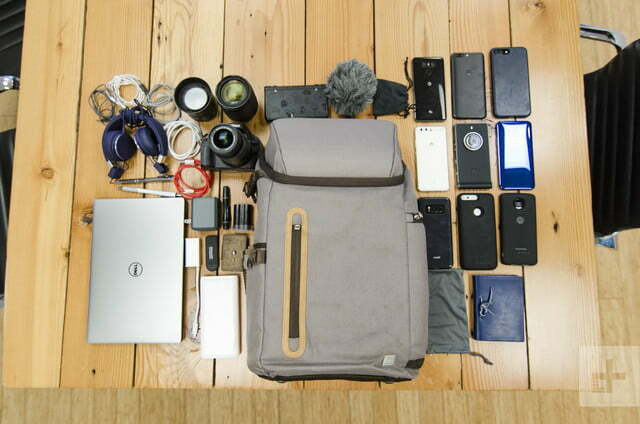 Having carried it around for about half a year, I can say in this Moshi Arcus backpack review, it’s the best bag I’ve ever used. I carry a lot of products for my job. I often have more than six phones on me, in case I need to snap a photo for a camera comparison. 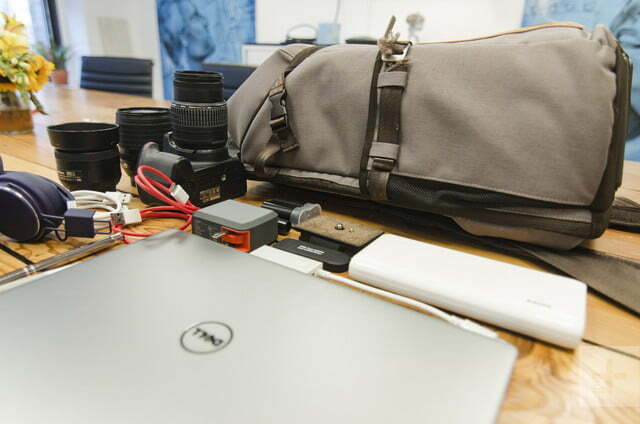 I also have my Nikon D7000 DSLR with three different lenses; a 10.5-inch iPad Pro (or sometimes my 12.3-inch Samsung Chromebook Pro); a New Nintendo 3DS; a 20,100mAh battery pack; and a plethora of cables and other accessories. Fitting all this into my previous Ona bag was possible, but this stretched it to the max, with little room to add items like a water bottle or book. I have plenty of room for more in the Arcus, however. My favorite feature of this bag is the protective, crush-resistant compartment. 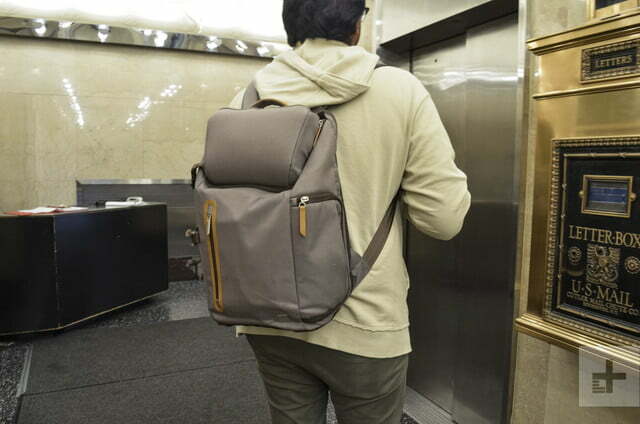 The Arcus is made of a canvas-like durable fabric. 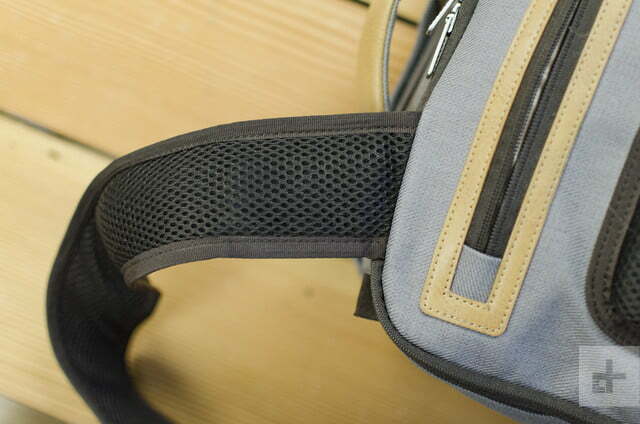 The straps and back section are padded for comfort while protecting the internals. 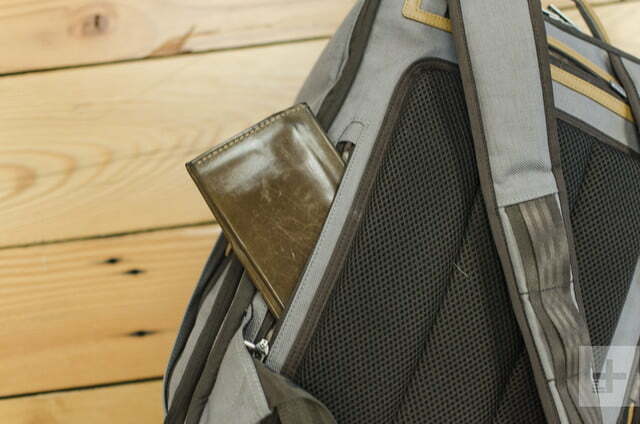 There are plenty of small and big pockets, and there’s even more padding on the bottom. The primary compartment is near the straps on the rear, and it’s here that you can store a 15-inch laptop, papers, books, and pens. 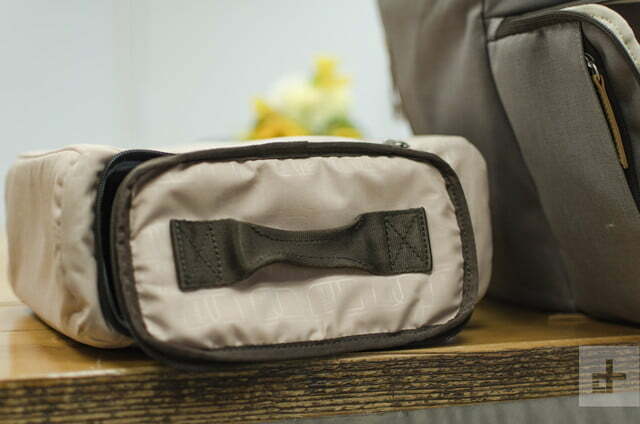 On the back of the bag, there are two pockets that can store thin items such as a passport or an external battery pack. 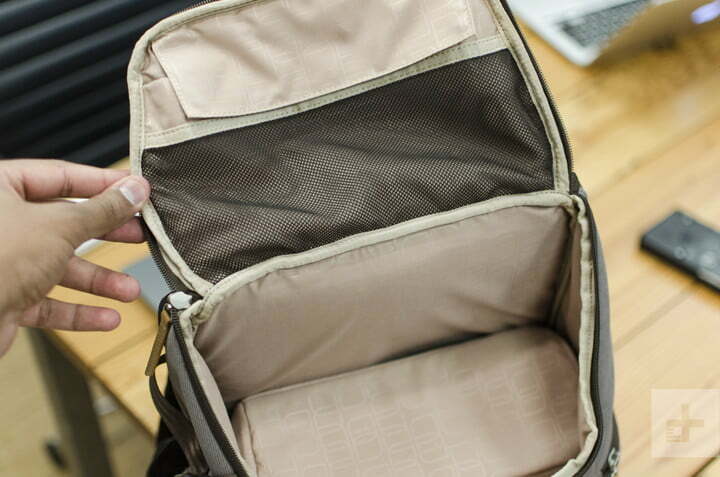 My favorite feature of this bag is the protective, “crush-resistant” compartment at the top. 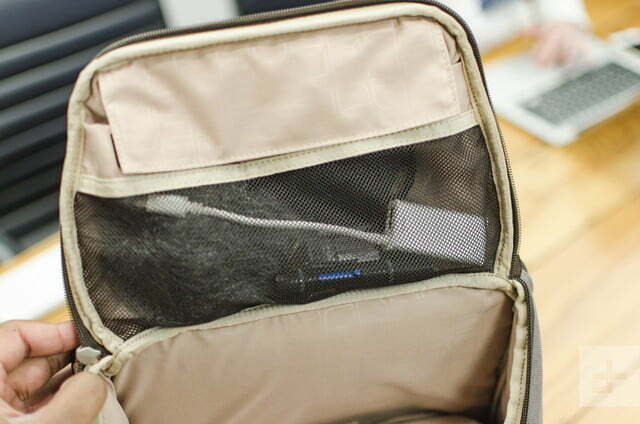 I store my Nintendo 3DS, and all my phones here. 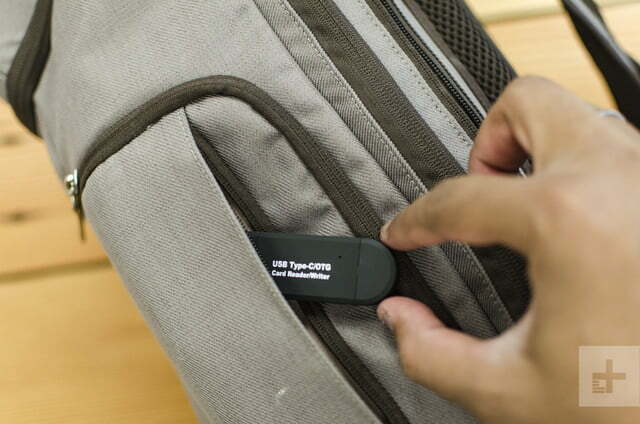 There’s a hard shell protecting this compartment from drops, so you can be sure the contents are safe. 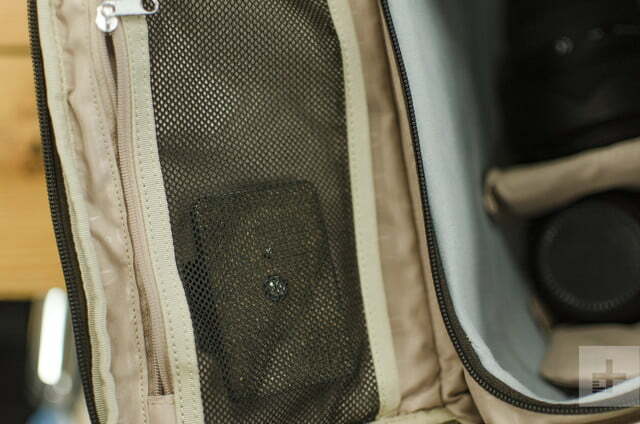 Underneath this protective safe is a zipper to access the second main compartment. 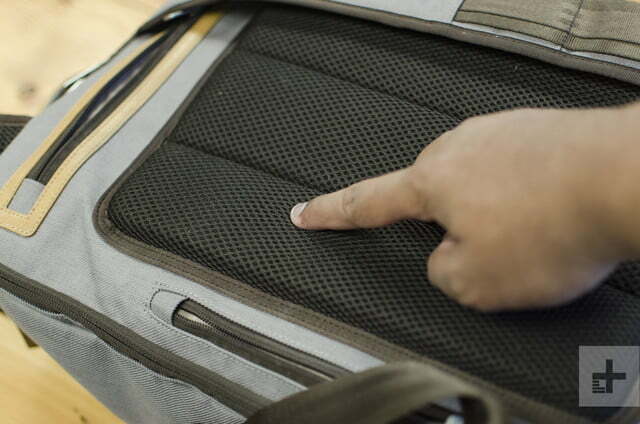 The second main storage area has two access points — one on the side and one below the crush-resistant compartment. I utilized the camera insert offered by Moshi to house a DSLR with a lens attached, along with two other lenses. Once this camera insert is in place, there’s not a lot more you can add to this compartment. If you don’t use the camera insert, though, there’s plenty of space. There’s also a mesh velcro pocket inside the second main compartment, which I used to store small accessories like camera batteries. After using the Arcus for about six months, I hardly see any wear and tear. Accessing my camera quickly is one of the few pain points I have with this bag, and it’s a reason why I strongly prefer messenger bags. All I had to do before was lift up the flap and grab my camera. 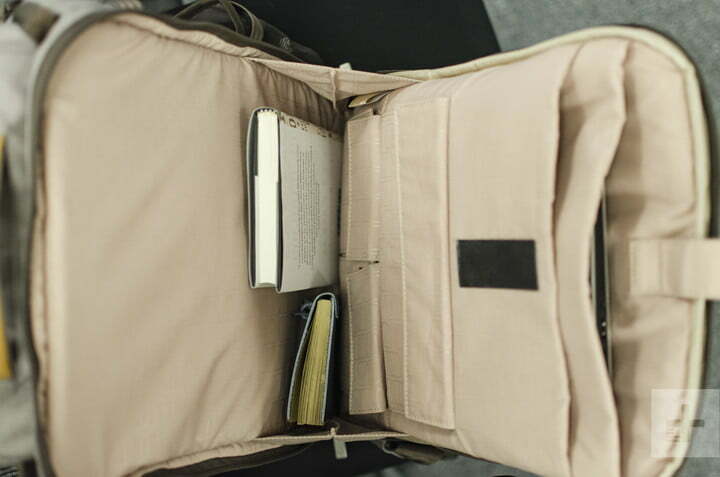 Now, I have to take off my backpack and unzip the side compartment. 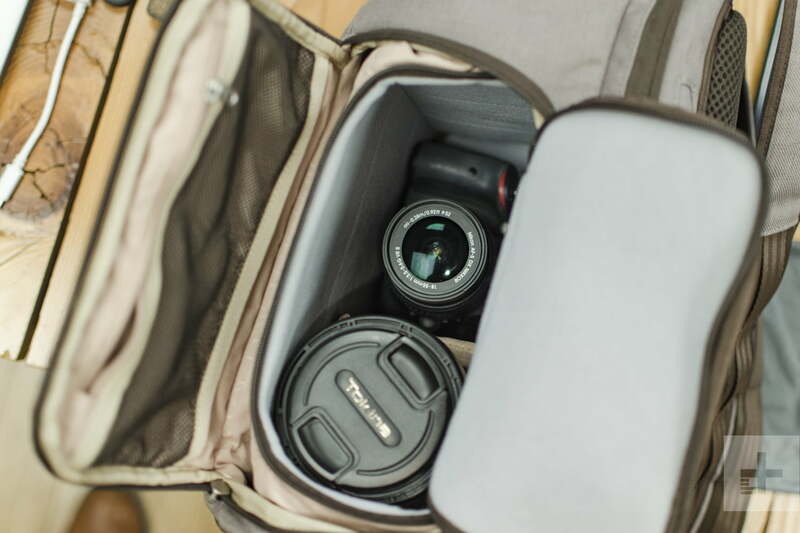 You can try to do it with the Arcus slung on your back, but we don’t recommend it, as a lens could fall out. 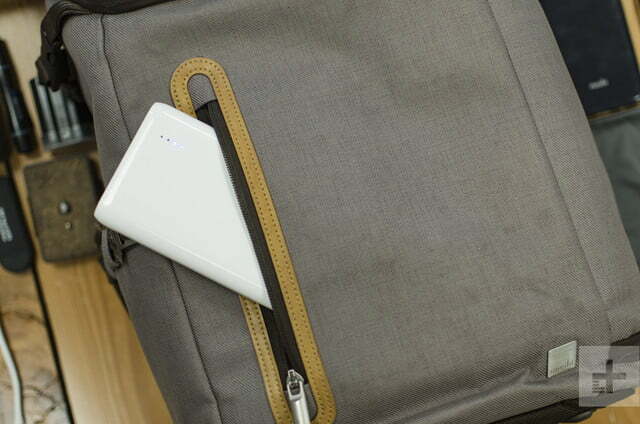 The Arcus’ front section features a pocket that fit my external battery, along with a wall charger and three cables. A pouch for a bottle can be found on the side. After using the Arcus for about six months, I hardly see any wear and tear (apart from the straps my dog likes to chew). The Arcus is also weatherproof, and I have walked through many rainstorms without any issues — everything inside remained dry. 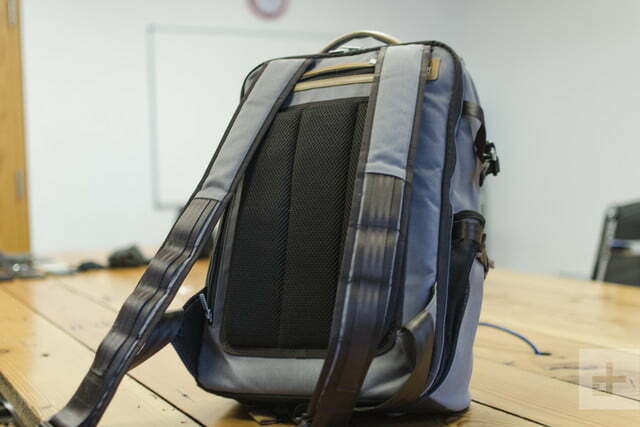 The bag has a slim profile, even when completely full, and it’s comfortable to wear. 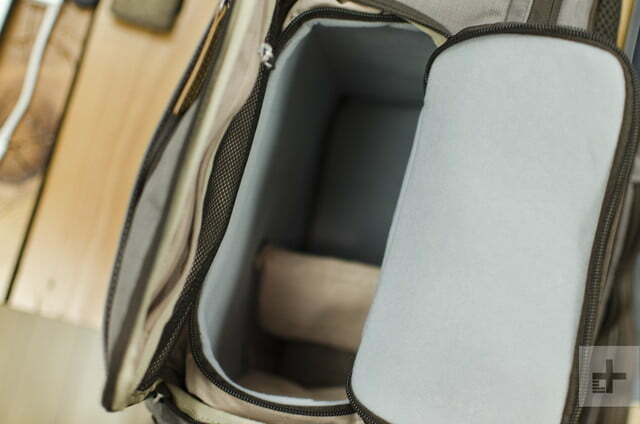 It can get a little top heavy, especially if you fill the crush-resistant compartment with devices, so you may need to lean it on something to keep it upright. 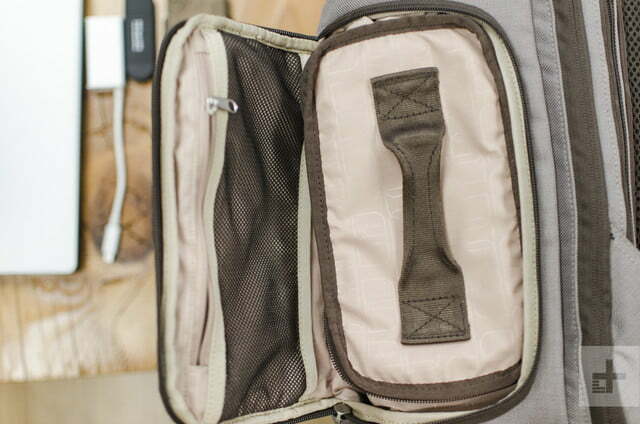 The straps also loosen over time, so you need to readjust them every so often to raise the Arcus up on your back. 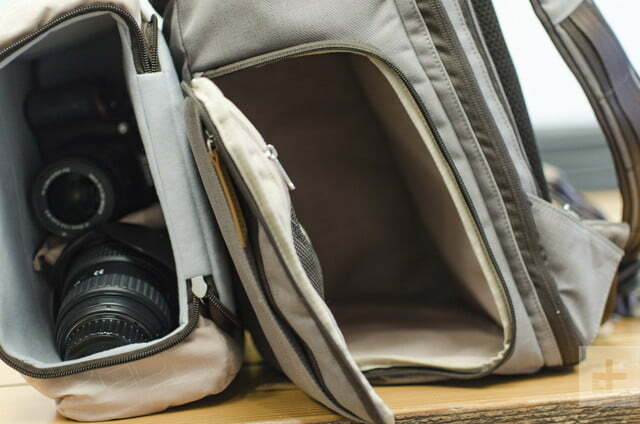 There are cheaper backpacks out there, but for what the Arcus provides, we think it’s well worth the $230 price tag. We used the titanium gray model, but the charcoal black looks more professional.